It's been cold here and mom decided that today would be a good popcorn and mini-series day. She has been watching Call the Midwife and LOVES it! She's gotten into a lot of the PBS mini-series and is thoroughly enjoying them. Before Call the Midwife was Poldark and before Poldark was Mr Selfridge. She loves them all! It's fine with me as long as there is popcorn once in awhile! Yes, please. I'm up for another one, mom! It's been seven years since our sweet Maggie left for the Rainbow Bridge. We think about her all the time. We think the 'dale Den at The RB is stocked with plenty of balls for fun! I've never had popcorn. Is it good? PS Gail says she once shared a flat in London with a girl from Chicago who ate popcorn every evening for dinner and it put her off for life! We too loved Mr. Selfridge, hubby watches Poldark. It was about over before I realized what he was watching. We might need to rent Call the Midwife. Have a good week and stay warm. We have been having loads of sofa days because of the heat. 'Call the Midwife' featured in many of those. We sure do love popcorn too - we like ours with lots of butter:) We really miss Maggie and Mitch - they were both among our very earliest blogging pals. That sounds like a perfect cold day activity! Luke loves popcorn too. Maggie and Mitch look like a perfect pair and must be sorely missed...big hugs. Those are all favorite shows of our mom too. We think popcorn is a perfect accompaniment to binge watching. It's hard to believe Miss Maggie has been gone that long. Our mom remembers her and Mitch fondly. Sounds like a cozy way to hang out indoors. OH, WOW!!!! I love popcorn! And TV. Can I come over and hang out with you and your mom?!!? We did that too last week, except it was popcorn and Game of Thrones. I remember Mitch and Maggie too. 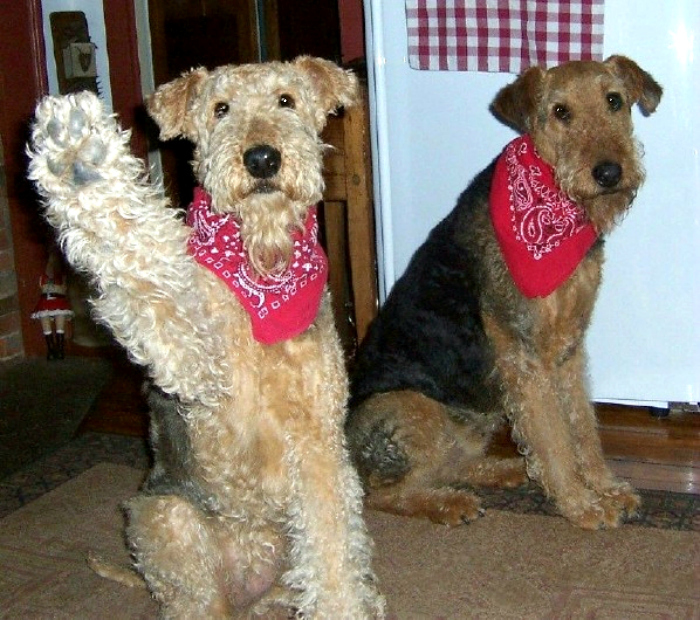 It's been 7 years since lost Tucker and almost nine since I lost Ceilidh and I don't even know how long it's been for Duffy and Gryffon but I still think of them all. Oh, I do loves me some poppycorn! And teevees too! Ma likes the British and Swedish mysteries. I likes the British ones, cause it sounds like the HOMELAND, rights??! BOL!!! We love making some popcorn on the weekends and laying back watching our favorite shows. Hope the popcorn was delicious. Have fun with mum. Thanks for the share. Have a wonderful day. Dad watches all those shows. Problem is, usually ghostwriter is working when they're on. Sometimes Dad saves the Midwife one for her to see and she enjoys it. Dad likes the Poldark one because it takes place in Cornwall, and Dad has some ancestors from there. I think popcorn is good no matter what is on TV! Yum! That is a great way to spend a frigid day!!! Enjoy the popcorn. I think of Maggie a lot too. She was such a sweetie who made so many people smile. Mitch was wonderful too. Hi hi hi! Ojo here! POPCORN!!!!!!! That is the bestest thing in the whole world! Even better than BACON! Hurray! Did you save me any? Also, we suspect Maggie (and Mitch too) probably come around when the popcorn is out. I can feel their sweet love even from here! Charlee: "We've never had popcorn, but it looks like it would be fun to bat around the house." Chaplin: "You bat it, I'll eat it." Charlee: "Maggie looks like a sweet girl, I wish we could have met her." Chaplin: *waves paw* "Hey Maggie. Say hi to Dennis if you see him over the Bridge, okay?" Oh we love Poldark the series and the books. Ross and Demelza so belong together. We go to the library to get the tapes of the show. We love the Outlander series and books also.